over how to share the waters of Teesta, which flow from India’s West Bengal into Bangladesh, had been opposed by West Bengal chief minister Mamata Banerjee. Rawat told the Bangladesh minister that India would sign a provisional treaty till a permanent settlement is found, sources said. Bangladesh wants greater access to Teesta waters, citing a fair-use policy but that may require India to use less. 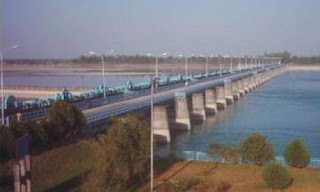 The Tipaimukh Hydro-Electric Project in the Northeast has long fuelled concerns of the neighbouring country that it could impact on Bangladeshi agriculture because it would control water flow from India’s Barak river. India sought to allay fears of Dhaka, holding that there’s no evidence that the dam would hurt farming there. India is ready to offer commercial power or related benefits from the project, which could be a deal-maker, sources said. In a sign of progress, Dhaka sought Indian help in building a slew of irrigation infrastructure projects. “Indian irrigation experts will visit Bangladesh after the request is formally put in motion,” an official said.